They don't make'em like this anymore! This 100+ yr old house is as good as new, but the charm of yesteryear abounds.Moved in '95 to it's current location and renovated. 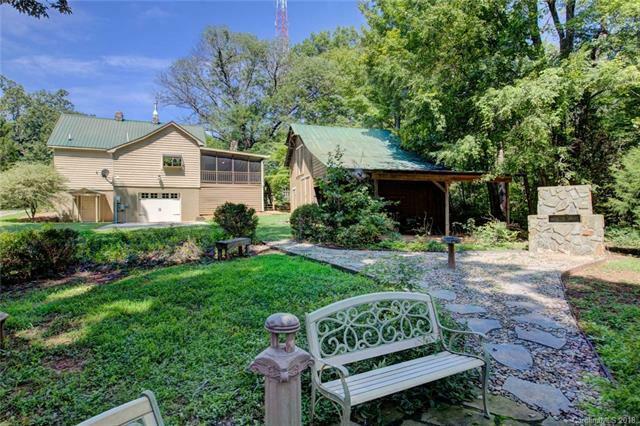 Enjoy a park like backyard w/outdoor fireplace/grill,koi pond, picnic area, plus more wooded acreage.Even the Barn has been "shored up" and is ready for another 100 years. Truly a GEM all polished and ready for you. Lots of room for the family w/partial finished bsmt.Enjoy the large screened porch overlooking the well landscaped yard. Seller say sell! Reduced price! What a steal. Offered by Lake Front Properties And More. Copyright 2019 Carolina Multiple Listing Services. All rights reserved.